This title can be licensed and sold throughout Australia, Canada, the United Kingdom, the United States. Dan and Laura are an attractive young couple happily married for nine years. He is hearing; she is deaf. Dan speaks and uses sign language to communicate with Laura and their 6-year-old deaf son, Adam. His family's deafness has never been an issue for Dan—until a doctor says that Adam should have a cochlear implant—a tiny computer device that would be surgically inserted into his skull to enable the child to hear. A technological miracle? Not to Laura, who sees the device as a threat to deaf culture. In her eyes, the most "natural" thing for Adam is for her boy to remain deaf. To her, deafness is an honor, not a handicap—like being "a flower of a different color." But Dan becomes convinced that it's in Adam's "best interest" to become a "normal" child. The battle to help his deaf son become a hearing boy launches Dan on an emotional journey of self-discovery that exposes hidden prejudices and threatens to shatter his family. 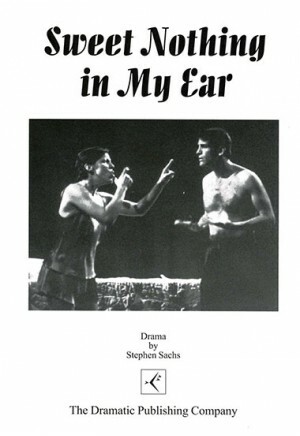 "Sweet Nothing in My Ear" was a finalst for the 1998 PEN West Literary Award for Drama.